TEAM > Missions Resources > Is Your Newsletter Mobile-Ready? One column or two? Resist the temptation to create your regular multi-column masterpiece, and go with one column instead. Producing a regular ministry newsletter is a struggle and triumph few can fully appreciate if they haven’t endured it themselves. You rack your brain for ideas in a slow month, or make painful cuts in a full one. You spend hours finding the perfect words and pictures. Maybe you even try to emulate the design elements from another missionary’s newsletter. Finally, you stand back with pride and hit “send” — only to have your supporters open your newsletter on a smartphone, turning your hard-earned glory into a mess of tiny fonts on an oversized layout. The good news about living in a world where up to 67 percent of emails are opened on a mobile device1 is that it’s more convenient than ever for supporters to open your updates. The bad news is, many standard newsletters were never meant to be opened on a five-inch screen. Some smartphones scale emails to a fixed width and accommodate multiple columns by cramming everything in side-by-side and shrinking the text. Others, including Androids, don’t scale anything, and readers end up zooming in and out and scrolling in all directions to find the beginning of each sequential column. Fortunately, a simple design choice can make reading much easier: Resist the temptation to create your regular multi-column masterpiece, and go with one column instead. Look at the top email marketing campaigns and newsletters, and you’ll find that one-column layouts are the dominant force in today’s inboxes. Designers love it because it looks open and inviting, and it ensures that readers get to the most important stuff first. Mostly, though, they love it because it looks great everywhere. Whether your supporters open your newsletter on their desktop or their smartphone, one column lets them easily see the whole width of your newsletter on the smallest screen. Most web designers recommend ensuring this effect by limiting your newsletter width to 600 pixels. But for those of us who have no idea how to do that, one column means that if your readers have to zoom out, they’ll do it once and be done. One column also gives you plenty of space to play with font sizes. Where a larger font would look crowded in two columns, it has nothing to compete with in one. The Content Marketing Institute recommends 14 point font as a minimum, but you should test it yourself. See what’s easily readable for you. Think about what your older readers will be able to handle. Consider, too, that many people keep their screen brightness set at a lower level, which conserves their battery power but also makes smaller fonts hard to read. Occasionally, two columns might feel necessary. Maybe you have a special prayer request or announcement you want to emphasize. Maybe you have a lot of photos to share this month. 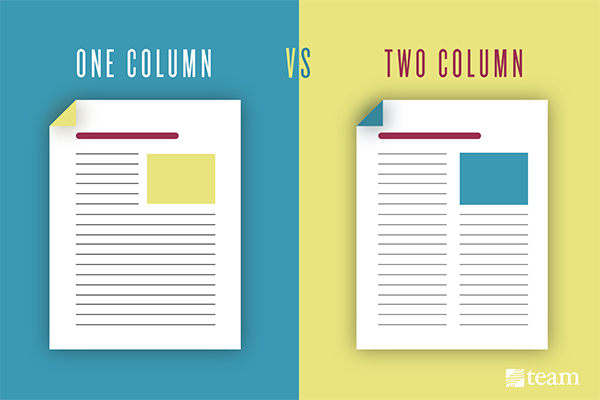 Most of the time, one column will do, but when it won’t, make sure you can stack your columns. Email services like Mail Chimp and Campaign Monitor* have responsive templates that will show your multi-column newsletter in its full beauty on a desktop, but will stack columns on top of each other when opened in a mobile device. Like all email newsletters, you should run a test to make sure the columns are stacking in your preferred order, but all in all, it’s an easy solution that ensures readability for your supporters. 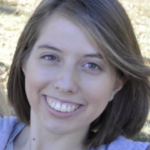 Looking for more missionary newsletter tips. Check out 10 Steps to Writing a Memorable Missionary Newsletter and How to Design a Beautiful Missionary Newsletter in 5 Steps to get started! 1According to Movable Ink’s US Consumer Device Preference Report from 2015’s first quarter. Smartphones accounted for 50.12 percent of emails opened, while tablets accounted for 16.91 percent. *And iContact, SimplyCast and GetResponse.